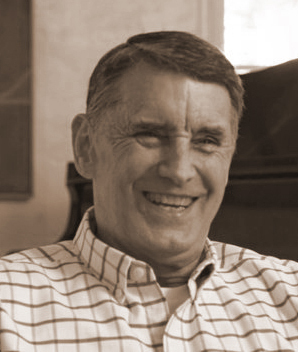 If you were writing a play about Ron Anderson's life, what would you choose as the opening scene? The curtain might lift with a 21-year-old Anderson working in a south-side Chicago grocery store as a stock clerk. When he wasn't putting cans on a shelf, Anderson ruled the basketball courts at Stony Island Park in Chicago's tough Cabrini Green neighborhood. It was there that a chance meeting with a Santa Barbara City College player started Anderson on his storybook path to the National Basketball Association. A playwright with a flair for comedy may want to begin with Anderson's first game of organized basketball. Playing for Frank Carbajal at Santa Barbara CC, the 6-foot 7-inch forward scored his first basket for the opposing team. Or the author could focus on two of Anderson's much more auspicious debuts. The first time Anderson donned a Fresno State University uniform, he scored 27 points and grabbed nine rebounds against a Soviet team that included Arvidas Sabonis. In his first NBA game, Anderson knocked home 27 points for the Cleveland Cavaliers and held future Hall of Famer Julius Erving to 12 points. Wherever the story begins, it's quite a story. Anderson, who teamed with Bernard Thompson to form the "Bookend Forwards" at Fresno State during the early 1980s, played 10 years in the NBA, averaging 10.6 points, 3.5 rebounds and 1.4 points a game. 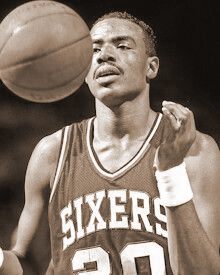 He played with the Cavaliers, Indiana Pacers, Philadelphia 76ers, New Jersey Nets and Washington Bullets. But his best years were with the 76ers, when he was one of the NBA's top sixth men and played alongside Charles Barkley. Reflecting his passion for staying in shape, Anderson then went on to star overseas, playing until he was 41 years old for several top clubs, including Maccabi Tel-Aviv. He now resides in France. 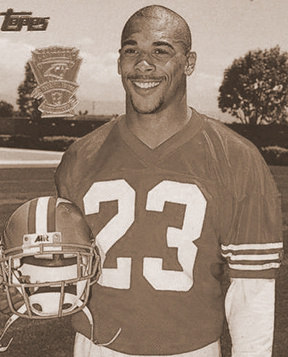 While at Fresno State, Anderson twice won all-conference honors, averaging 16.9 points for the Bulldogs during his two seasons. In 1983, he was named MVP of the National Invitation Tournament, as the Bulldogs swept five opponents, including DePaul in the title game, for the NIT title. Berg, quite simply, might be the winningest and most decorated athlete in Fresno State history, an athlete whose name is synonymous with victory in international competition. _She represented the United States on four Olympic teams as an outfielder, returning home with gold medals three times and a silver last year. 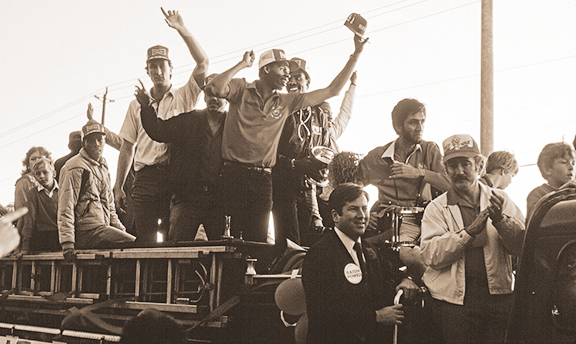 In Sydney, Berg found herself in the middle of the medal-winning rally. In the eighth inning of the championship game against Japan, Berg hit the deep drive to left field that Shiori Koseki gloved but dropped, enabling pinch-runner Jennifer McFalls to score the winning run. 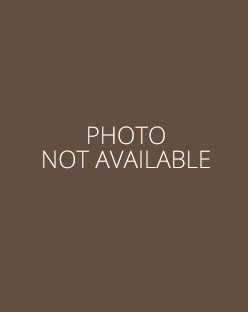 _Berg had one of the biggest hits for the U.S. team at the 1996 Atlanta Games. The gold-medal final against China was scoreless in the third when Berg singled ahead of Dot Richardson's two-out, two-run homer, the deciding blow in the 3-1 U.S. victory. Berg hit .273 to rank fourth on the team. Berg says she loves thinking about the final out of the 1996 Games, and seeing all of the flashbulbs going off. She came sprinting in from center field when Lisa Fernandez struck out the final batter. Berg said she felt like the run in took forever, and by the time she got there, the celebratory pile was already tipping over. _Berg is quite superstitious. She double braids her hair for games -- something she started doing at age 14 -- and never uses batting gloves. Stepping in for her first at-bat of a game, she erases the batter's box line with her cleats. She also writes her twin sister's initials on both shoes -- RB, for Randi Berg. 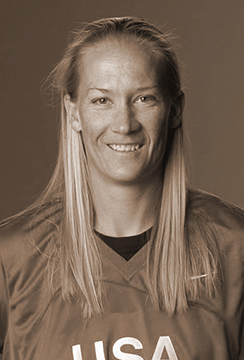 Randi graduated from Fresno State University in 1997, one year before Laura, who took 1996 off to train for Atlanta. _At Fresno State, Berg guided the Bulldogs to their first NCAA championship in 1998. She became the only player in school history with three consecutive 100-hit seasons (1995, '97, and 1998). She also finished No. 2 in NCAA history with 396 career hits. Berg batted .414 as a collegian and the Bulldogs were 206-60 with her in the lineup. Before college, Berg earned 11 varsity letters at Santa Fe (Calif.) High School, four each in softball and basketball plus three in volleyball. She was a four-time league MVP in softball. _Berg's other international accomplishments include playing on four world championships teams, three Pan American gold-medal winner and two World Cup champion teams. In 2007, she received the honor of carrying the flag on behalf of the United States at the closing ceremonies. _In 2004, at the Athens Olympics, she started in eight of nine games and hit .368 with seven hits and four runs while playing errorless ball in the outfield. 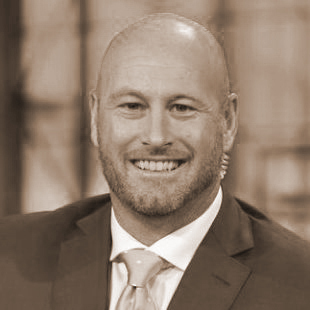 As a young athlete, there seemingly wasn't a sport in which Dilfer didn't shine while growing up in Aptos, California. He did them all -- soccer, baseball, basketball, football, golf. But Fresno State football coach Jim Sweeney helped convince him to focus on football, and the result was a career that included one of the Bulldogs' most memorable victories -- 24-7 over USC in the 1992 Freedom Bowl -- and a 14-year NFL career highlighted by quarterbacking the Baltimore Ravens to victory over the New York Giants in the 2001 Super Bowl. _Now an NFL analyst with ESPN, Dilfer's leadership, toughness and strong right arm enabled him to start 113 NFL games and earned him a Pro Bowl selection in the 1997 while with the Tampa Bay Buccaneers. He retired in 2008, having passed for 113 touchdowns and 20,518 yards, with a quarterback rating of 70.2, in a career that included stints with Tampa Bay, Baltimore, Seattle, Cleveland and San Francisco. With the 49ers, in addition to starting six games, he served as a mentor for the team's younger quarterbacks. _Dilfer became a starter for Fresno State as a redshirt freshman and led the Bulldogs to national prominence before leaving for the NFL after his junior season. He helped Fresno State win or share the conference title for three straight seasons and started in two bowl games. In his junior season, Dilfer led the nation in pass efficiency en route to being named the WAC Offensive Player of the Year. He also set the NCAA record for consecutive pass attempts without an interception - 271 - that stood until 2007. _Tampa Bay drafted him in the first round with the sixth overall pick in 1994, and Dilfer was the center of attention at the draft in New York , as the second quarterback taken behind Tennessee 's Heath Shuler, who went with the third pick to the Washington Redskins. Dilfer's jersey (No. 12) was retired by Fresno State -- a fitting tribute for the quarterback who left the Bulldogs with school records for single-season passing yards (3,799) and touchdowns (30) and another NCAA record -- most passing yards in a bowl game (523) set against Colorado in the 1993 Jeep Aloha Bowl. _Dilfer's all-around athletic skills also were showcased by his success in charity golf tournaments featuring professional athletes. He uses his his golf prowess and affinity to raise money for charity, including the TD4HIM Foundation, which he established in 2003 in memory of his late son, Trevin, who passed away from a heart ailment at the age of five. In 2009, Dilfer received Brodie Award," recognizing an individual's accomplishments in both a chosen profession and in the sport of golf. It's given each year by organizers of the American Century Championship celebrity golf tournament in Lake Tahoe. The award is named for former National Football League Most Valuable Player (1970) John Brodie, the one-time San Francisco 49ers quarterback and Senior PGA Tour player. From humble beginnings as an 11-year-old caddie who received 15 cents a hour for his toil, Halstead went onto become a nationally recognized and celebrated pioneer in public-course golf. _Halstead, who played professionally from 1919 to 1927, even competing in the U.S. Open, and moved with his young family to Fresno in 1927 to become the head professional at the Sunnyside Country Club. He was there 12 years, during which time the club matured into one of the state's top private courses. _But he made his biggest mark at the city-owned Riverside Golf Course, where he ran the show from 1939 until 1961, putting in long hours, teaching thousands of people the game -- and also curing their hooks, shanks and yips. _Riverside originally was a private, nine-hole course on the banks of the San Joaquin River. But then Fresno Mayor Frank Homan engineered the purchase of the course and an additional 40 acres for $11,507. It was turned into an 18-hole public layout, and Halstead was the perfect choice to run the operation. _Described by close friend Charley Seaver as "tough as shoe leather," Halstead became known as the "Mayor of Herndon" while serving as the course's sole pro, manager, starter and greenskeeper for 22 years. When he retired at age 63, he had been a club professional for nearly 47 years. _Halstead's teaching style was to simplify the game, what he called "No Thinking Golf." One of the ways he did this was to place a piece of plywood - backed by a brace - on end and put the ball down about 2 inches from the board. Players had to avoid the board to hit the ball straight and, pretty soon, they had a grooved, consistent swing. 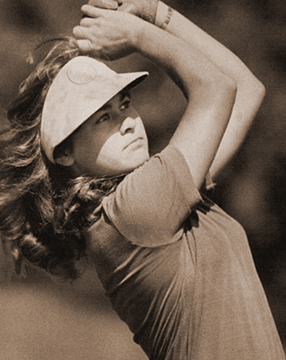 _The story of Halstead, Riverside and his daughter Norma's remarkable hole-in-one -- accomplished as a 15-year-old - is included in the book, "Chicken Soup for the Golfers' Soul." Mealiffe parlayed his love of the water into a brilliant career highlighted by All-America honors at Fresno High and USC -- and decades later, a record-setting return to the pool as a Masters competitor. _Born 15 minutes before his twin brother, Pat, in 1940, Mealiffe started swimming at age 11 and soon hooked up with legendary coach George Haines in Santa Clara. His family moved to Fresno a short time later, and Mealiffe joined the Fresno YMCA swim team coached by Gene Stephens. _It was the beginning of a career that would see Mealiffe set numerous AAU age-group and Junior Olympic records in the backstroke and, ultimately, in 1961, the world record for the 110-yard butterfly. That mark -- which Mealifee describes as the high point of his career -- was set at the Airways pool in Fresno. _While at Fresno High, he swam for Jack Skadden, an ex-Navy frogman who built the Warriors into a powerhouse. Mealiffe went undefeated in high school, and, in 1959, was a member of the 200-yard medley relay team that set the national high school record. _Mealiffe starred at USC, becoming a three-time All-American and helping the Trojans win the 1963 NCAA men's title by placing second in the 100 and 200 butterfly. _Mealiffe returned to swimming in 1990, and broke the Masters world records for the 50-54 age group in both the 50-meter and 100-meter butterfly. Seven years later, he set the world Masters mark for the 55-59 age group in the 50-yard butterfly.